As I was writing the post on Turkey and dual nationality, a conversation I had here in Japan flashed through my mind but I decided to leave it for later. The core issue is: Can you get your French national back if you renounce it? The person (French) I was talking to believed that it was easy to reclaim French nationality, and therefore, no worries for a French about becoming Japanese. The day she wants to leave Japan she simply applies to be "reintegrated." Easy peasy. Now far be it from me to argue with a French citizen about this. But I have lived in France for a long time and in my experience French citizens don't always follows changes to immigration or citizenship law. This person could be wrong, could have missed something. On the other hand I sure hope this person does check it out before doing something irrevocable. Because it turns out that, well, it's complicated. So complicated that I read a bunch of articles that seemed to say conflicting things and so I threw up my hands and went to look at the law and at government websites. What follows here is what I was able to determine from those sources, which I tried to verify in the décret n° 93-1362 du 30 décembre 1993, (the updated version as of 29 septembre 2017). I nearly went blind reading so if there are any errors or nuances I missed, please let me know. Voluntarily Losing French Nationality: There are different ways to do this depending on the situation: Repudiation is available to French citizens with a non-French parent upon reaching their majority or following the naturalization of a French citizen who has married a citizen of another country and that country does not accept dual nationality. Or it can be done through a declaration following the acquisition of another nationality. The Declaration is a limited time offer - 1 year to apply after acquiring another citizenship. After the year is up one can still ask to be Liberated from the Ties of Allegiance to France under certain conditions. Some of the conditions are pretty standard like having another nationality so the person won't be stateless. The would-be-renouncer must also prove that he or she is French and that may involve getting a certificat de nationalité française - something that takes time in my experience. He must also provide a certificate from the country of which he is a citizen with information about how and when it was acquired. And he must prove that he habitually and durably lives abroad (at least 10 years) and has no unmet obligations to the French state. The state also reserves the right to examine the motives that the citizen has for making the request. Tax avoidance, for example. If those conditions are not met and they are not satisfied that the motives are pure, the French government can refuse the request. If it is granted than a decree is issued and published in the paper version of the official government journal. 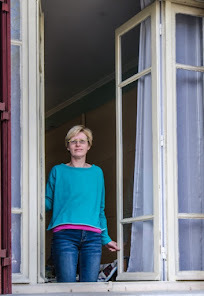 Reclaiming French Nationality: How she gets it back depends on how the French citizen gave it up. The process is called reintegration. Yes, it can be done but again there are conditions. The easiest is Reintegration by Declaration which is available to those who lost French nationality via marriage. The I-want-to-be-a-citizen-again must show that she has retained ties to France and may not have acted against the interests of France abroad or have committed crimes. In the case of a French citizen who was Liberated from the Ties of Allegiance (decree) it's more complicated and there are more conditions. It can't be done through a declaration; it must be done via another decree. And, in essence, the I-want-to-be-a-citizen-again is treated as if he was an immigrant seeking naturalization. The state asks for proof of assimilation and adherence to the values of the Republic. Her life is examined in terms of morals and good conduct in addition to not having been caught doing something criminal like not paying taxes. And, finally, he must come back and live in France. Here again the state has the right to refuse the request. So the French citizen I spoke to is, in principle, correct that it is possible to renounce French citizenship and then get it back. That said, it appears loss via declaration due to marriage or naturalization (if done within 1 year) would be much safer and easier than trying to get it back via decree. I can also see how a French citizen could theoretically do an end run around Japan's laws against dual nationality: become Japanese, renounce via declaration, apply for reintegration, move back to France as a French citizen, retain Japanese citizenship on the sly. However, getting that French citizenship back is not at all a sure thing and is contingent on things like how the former French citizen has lived his/her life abroad. Even if the person did that, though, there would still be the problem of being given away by the lack of French stamps in the Japanese passport when that person went back to Japan, would there not? Might be able to avoid scrutiny at Immigration by registering for the use of automatic gates, though could still get caught out at Customs inspection I suppose. Nezumi-san, French immigration doesn't always stamp passports. Sometimes they do and sometimes they don't. Which is a real problem if you are a migrant who needs to prove exactly when he entered the country.